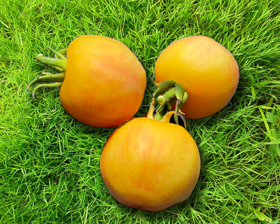 This exciting new tomato plant yields incredible amounts of 80g delicate, fuzzy like a real peach, orange fruits. 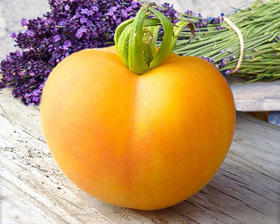 Juicy tomatoes with a wonderful delicately fruity flavor and marmalade flesh. Height 1,5m.